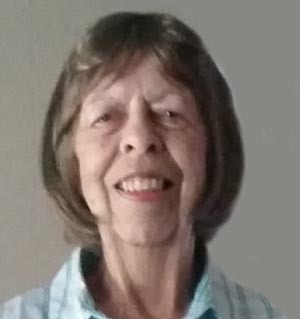 Neoma Stubbe Ohlin, age 77, of Aurora, formerly of Hastings, passed away on Friday, May 18, 2018, in Aurora after a yearlong courageous fight with cancer. Neoma’s wishes were to be cremated and no services. A private family inurnment will be at Parkview Cemetery in Hastings. Memorials may be made to the family to designate at a later date. Condolences may be e-mailed to the family through the mortuary website at www.higbymortuary.com. Neoma Jeanne Stubbe Ohlin, the daughter of Gerhard and Beulah (Schmidt) Stubbe, was born at home in Hastings, Nebraska, on March 16, 1941, and passed away in Aurora, Nebraska, on May 18, 2018, at the age of 77. In 1943 Mom got a little brother, Paul Stubbe. She graduated from Hastings High in 1959. Neoma attended Hastings Beauty Academy and became a hair stylist in Hastings. Mom married Dale Ohlin our dad, on June 12, 1960. They produced two awesome kids, Dale Richard Ohlin II (Chip) and Kristin Marie Ohlin. Our family moved to Arizona in 1977. This marriage ended in divorce in 1980. Mom moved back to Hastings and resumed her hair styling career, where she retired from The Stylist in 2009, spanning a 50 year career which she truly loved. In the 80's, Mom remarried giving Chip and I someone else to pick on, a step sister, Kim Hamik. During 2009, Mom moved to Aurora to be closer to us and to enjoy her grandkids activities and she especially enjoyed spending time with her two great-grandsons, Hudsyn and Zayden. She was a lifelong member of First St Paul’s Lutheran Church and was also served as the President of Hairdressers Association Affiliate #14. Mom was preceded in death by her parents and grandparents and sister-in-law, Ann Marie Ohlin Carlson. Our Mother is survived by the following: her son, Dale (Chip) Ohlin II and wife, Eileen Ohlin, 3 grandsons, David Andrew (Cassi) Ohlin and great-grandson Zayden Mark Ohlin, Derek James Ohlin and fiancée Lauren Egger and Dustin Michael Ohlin; her daughter, Kristin Ohlin and fiancée Cecil Brooks Jr., granddaughter Molli Rose Ohlin and husband Nemanja Lazarivic and great-grandson Hudsyn James Wheeler; her step-daughter, Kim Hamik and husband Jerry and 4 grandchildren; Her dear brother, Paul (Kathleen) Stubbe; Niece, Sarah Stubbe, Kim (Clint) Jones, Jason (Sara) Stubbe and Josh (Katy)Stubbe and their children; sister-in-law, Marlene (Dennis) Mullen; Nephews, Shawn (Sharilynn) Mullen, Shane Mullen and niece Andrea (Arthur) Escoto, and their children; Cousins, Rhonda Campbell, Wendy Werner, Donna Mae McCoy and Barbara Jean Gartner, numerous other family members and dear friends, Marion Hanson, Sharon Peters and Sandy and Marv Woodward. We would like to thank Dr. Ryan Ramaekers and staff and Tabitha Hospice, Susan Stearns, Misty Bexten, Wanda Driewer, Amy Friesen, Aaron Phillips and special volunteer, Jeff Jacobsen. We would also like to thank the staff of Memorial Hospital and Dr. Mike Sullivan and staff. We are truly sorry if we left a few people out. We will forever love you and miss you Mom, you are the wind beneath our wings, fly high Angel, until we meet again.